"We just visited The Healthy Pet for the first time and were very impressed. ​Dr. Kate and her staff are not only super sweet, but wonderful with my dogs!" Dr. Kate got her degree in Business Administration from the University of Illinois and began her professional career with the famed Ritz Carlton hotel chain in Atlanta. After several years of learning from one of the best client service organizations in the world, she moved on to pursue her degree in Veterinary Medicine from the University of Georgia in Athens. (Go Dawgs!) Dr. Kate has lived and worked in Henry County since 2012, serving in both the non-profit arena as well as private practice. Today, Dr. Kate is the owner and lead veterinarian here at The Healthy Pet and is excited to invite you to become part of the family! Jessi is our Lead Veterinary Assistant, serving the veterinary industry for over 6 years. She is from Barnesville, GA and has worked alongside Dr. Kate since 2013. 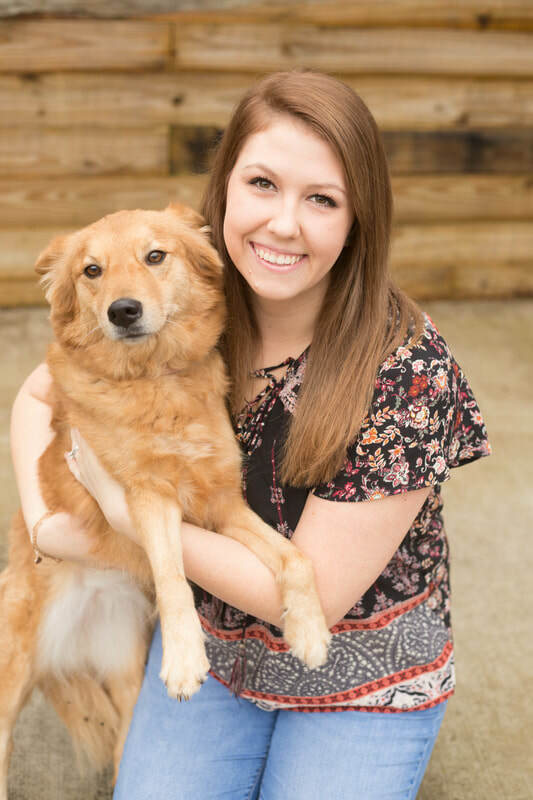 Having 2 dogs of her own, Cole and Bailey, Jessi is passionate about taking care of animals and is excited about serving our Healthy Pet family of clients. Kasey is a Veterinary Assistant and is the newest member of The Healthy Pet family. Kasey and her newlywed husband Matt live here in Henry County where they are involved in their church and enjoy being outdoors. Pictured with Kasey is her awesome pup Foxy. We're excited for Kasey to be a part of the team and about the passion and expertise she brings to the clinic.